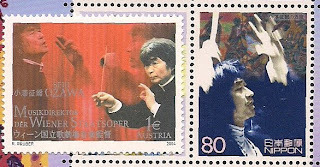 Seiji Ozawa(1935- ), Japanese conductor, he was born in Shengyang, China(Manchuria) in 1935 of Japanese parentage, his family moved back to Japan and he studied at Toho School of Music in Tokyo, won Besancon and Koussevitzky competitions, conducted the NHK Orchestra and the Japan Philharmonic, studied at the Berkshire Music Center and with Karajan in Berlin. He became assistant conductor of the New York Philharmonic under Bernstein. Thereafter he was music director of Ravenia(Chicago Symphony), Toronto Symphony, Japan Philharmonic, San Francisco Symphony, Boston Symphony. 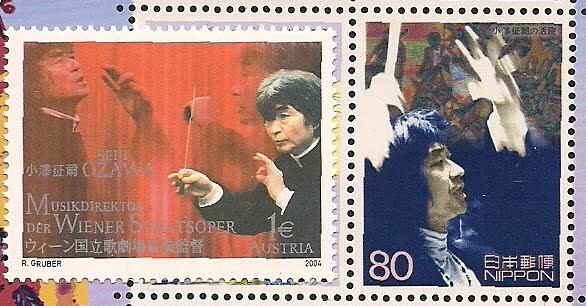 He also conducted opera companies at Salzburg, Covent Garden, La Scala, Vienna and the Paris Opera.